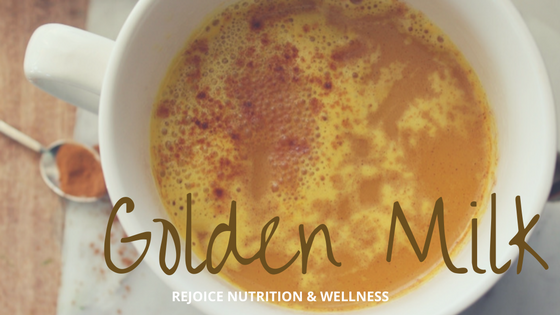 Golden milk and its benefits are becoming more well known in North America. 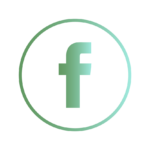 It has been used in Traditional Chinese and Ayurveda Medicines for centuries. 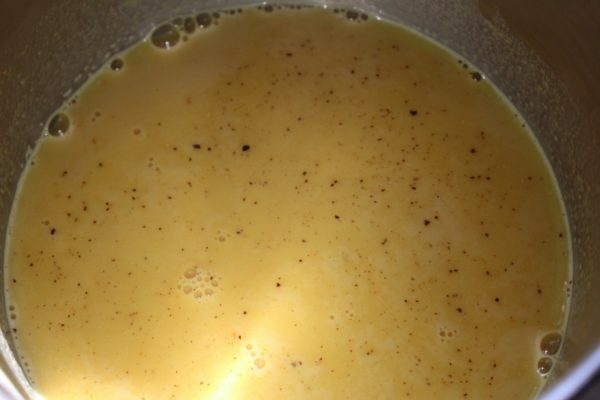 The Turmeric in the milk is what gives it its name and beautiful golden color. 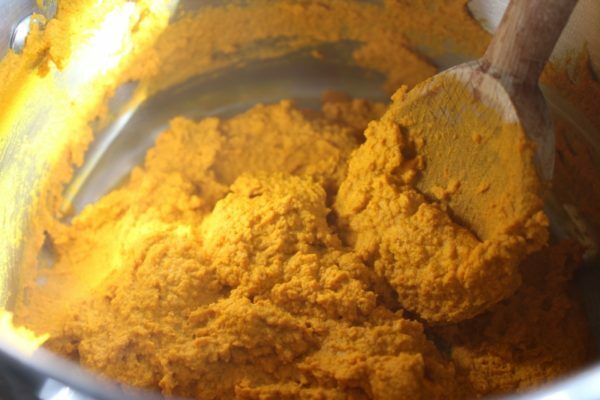 The benefits of Turmeric have been well studied, particularly curcumin which is one of its most bioactive ingredients. 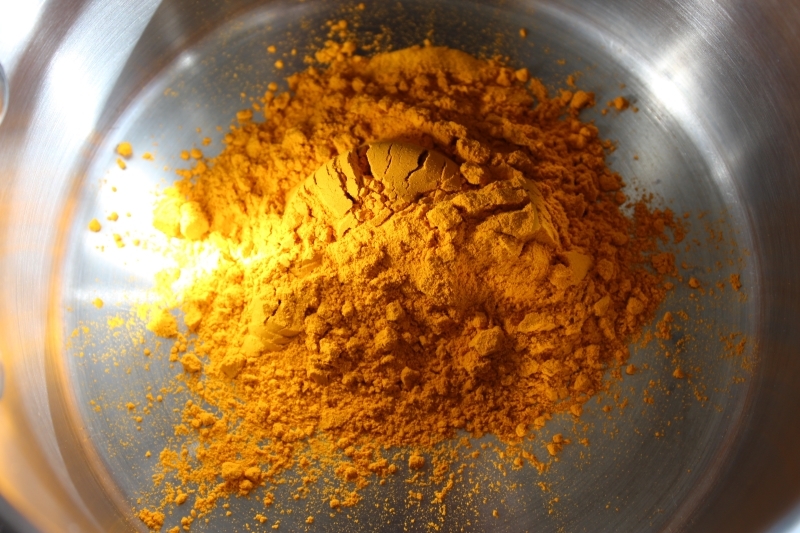 Curcumin is a unique phytonutrient that has been linked to numerous benefits. 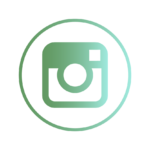 It has been particularly studied as an antioxidant, anti-inflammatory, and for its microbial activities. 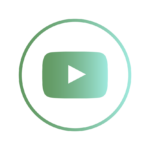 For its many benefits, Turmeric is known in India as “the spice of life”; online, you will find tons of articles and research regarding claims about this substance. I am not a doctor; therefore, I always encourage my clients to read as much as they can to learn more and make their own informed decisions. 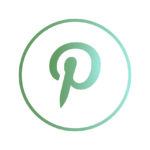 I have included a number of PubMed articles, medical articles, and research below in the reference section for you to further explore the topic. I can only speak to my experience in that consuming this drink as part of my bedtime routine helps me to wind down and relax. It promotes a good night’s sleep and I wake up feeling rested. 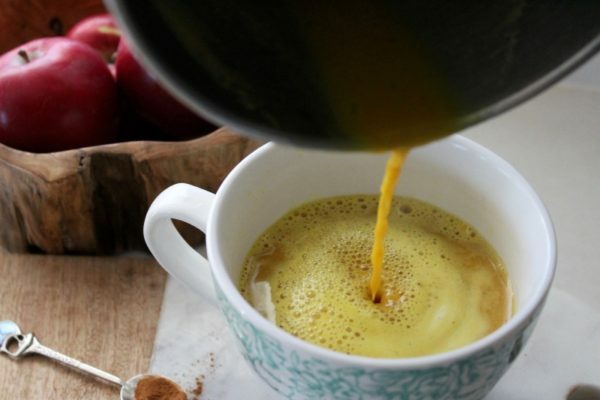 The great thing is that the golden milk paste you use to create this drink is easily made with turmeric powder and water and then you can keep it in the fridge in an airtight container for 2-3 weeks. For my kids, I like to add cinnamon and a natural sweetener to help disguise the bitterness and I find the warming drink supports a good night sleep for them as well. 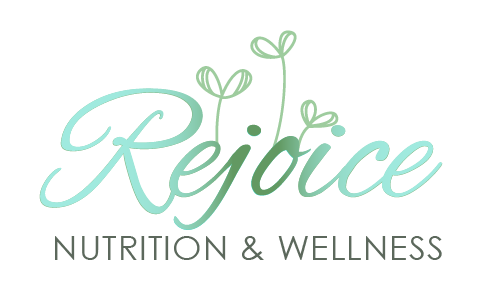 This drink is warming, smoothing and good for you. Try it as part of your bedtime routine. 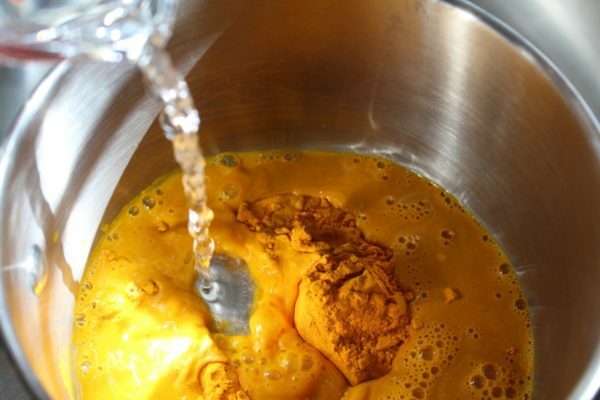 In a thick bottom pot, pour in water and turmeric power over a low-medium heat. You want to continually stir the mixture for about 5-8 minutes to cook it. What you will have is a thick paste consistency. If you find it looks too dry you can add another 1 tsp. of water at a time until you reach a smooth paste like texture. It is important to remain at the stove as it can burn easily so keep the mixture moving. 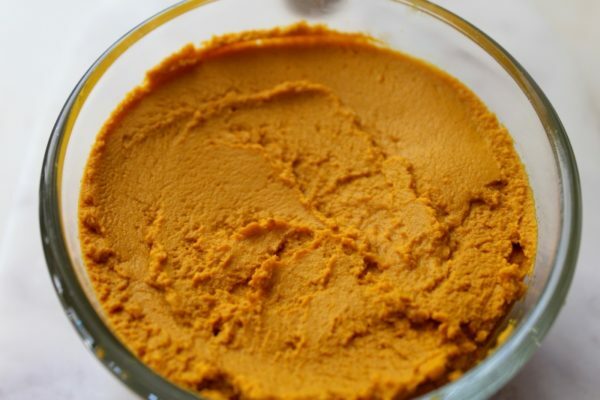 Let the paste cool, and then place it in a glass container with a lid for 2-3 weeks to keep. Now you have your paste ready, making golden milk is easy. For one serving, pour 1 cup of milk into a pot and add ½ tsp.- 1 tsp. of your turmeric paste. 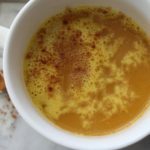 If you are new to golden milk, maybe start with ½ tsp (it is slightly bitter tasting) and work your way up to 1 tsp. 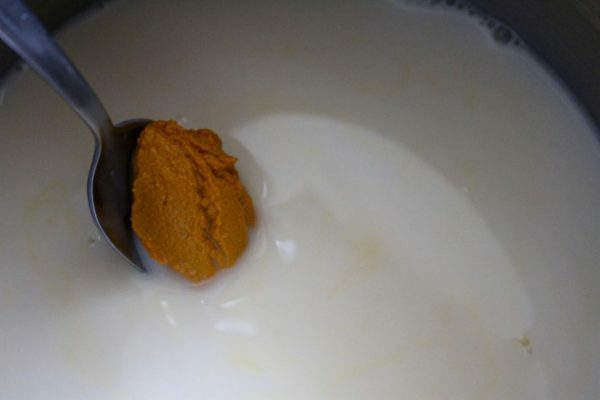 Stir the milk and turmeric paste over low-medium heat. Once the mixture is warm add a small pinch of pepper to aid in turmeric absorption and add your desired sweetener and stir for about another 1-2 minutes. 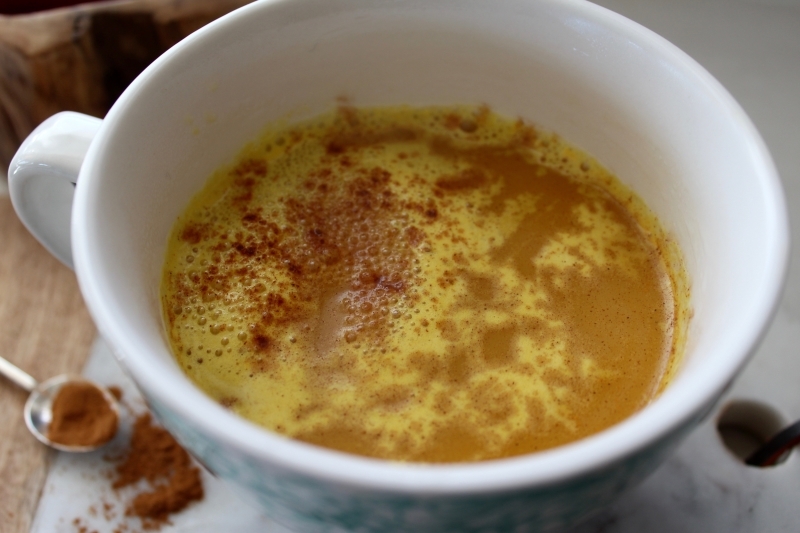 Pour your warm golden milk into a cup and I like to add a dash of cinnamon on top before drinking. It adds another layer of flavor and warming quality to the drink. 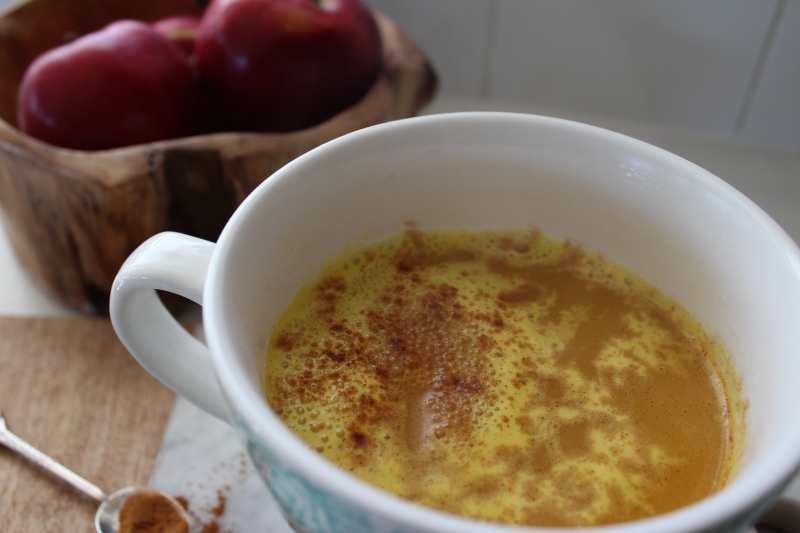 Cinnamon as well has anti-inflammatory and blood sugar balancing elements, so it's a nice compliment to the golden milk.